Using a new in-house technology called Meander, a small exploratory team at Walt Disney Animation Studios explores new directions in animation in the much talked-about short PAPERMAN, which seeks to combine the charm of pencil animation (2D) and the practicality of CGI (3D). Here's how it was done. “Drawing can have a really powerful, visceral effect on the viewer. You can create anger and surprise or anguish with just a few lines of a pencil,” says director John Kahrs, an animator on THE INCREDIBLES and TANGLED/RAPUNZEL. “It really goes back to working with Glen Keane on TANGLED, watching him draw over all the images." In this interview with John Kahrs , we see some of the aforementioned hand-drawn magic from Peter Pan and the hand-drawn model sheets for the PAPERMAN characters. See how your eyes perk up as soon as pencil drawing appears on the screen? There’s a lyrical look to the moving pencil line that has never been captured by CGI, a look that audiences, as well as animators, yearn to see back on the screen, a look that animation studios seem determined to banish forever for its supposed slow costliness. They tell us that we don’t want to see old-fashioned, pencil animation, we want cutting edge digital stuff. Well, actually, we’d like to see both on the screen. 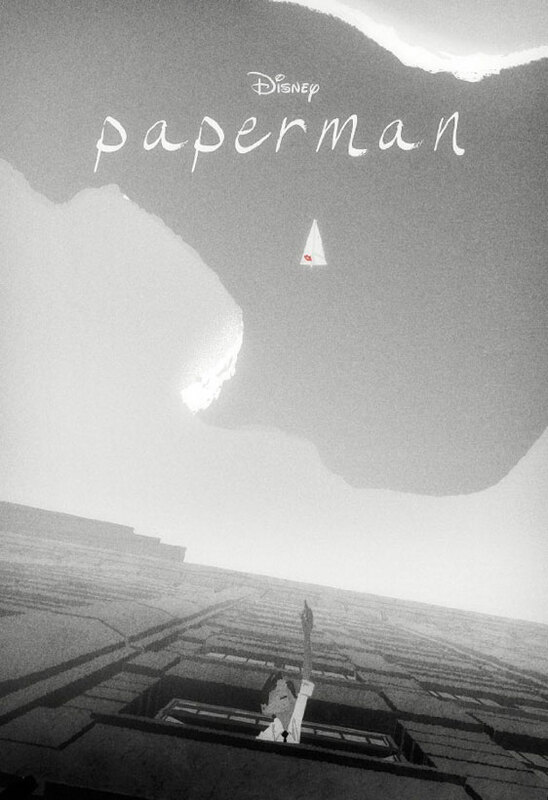 The fact that this short is about the power of paper and was named PAPERman, seems to endorse that yearning to return to paper animation and the magic of a pencil line. Although the Meander software gives a certain looseness to usually stiff computer animation, it still doesn’t have the free-flowing exuberance of a pencil line. Digital animation has been used in hand-drawn animation films for decades, like the spectacular CGI ballroom in BEAUTY AND THE BEAST and this combination works seamlessly. But a pencil line incorporated into CGI still seems overwhelmed by the digital medium. The PAPERMAN short premiered at the Annecy International Animated Film Festival in June 2012 and its theatrical release will be on November 2, 2012 when it's shown with the feature film Wreck-It Ralph.